New York, Boston, Atlanta and Denver are among the 283 cities that just submitted proposals to host the new second headquarters for Amazon HQ2. Amazon is promising 50,000 jobs with an average salary over $100,000, and a 5 billion dollar investment. But of course incentives and grants are expected to play a role in the company’s location decision. For some time now, companies interested in moving or adding new locations have been milking the competition among cities for “new jobs.” Elected officials are “drooling” because they run for reelection on promises of robust economic growth and “job creation.” They also continue to use an archaic success metric for their cities: population growth (spelled u-n-s-u-s-t-a-i-n-a-b-l-e). Real estate developers, homebuilders, media companies, banks and construction companies prod local governments to provide big incentives to lure companies to town. Why? Because about 4 out of 5 new jobs in a company relocation are awarded to people to were not already residents of the area. [See The Fiscal Consequences of Competition for Capital and Who Benefits from Local Job Growth] Incentives bring relocations, which bring population growth to a region. And more people means more houses built and mortgaged, more highways constructed, more viewers for local TV stations and more subscribers for local newspapers. But…what do these relocations really do for the average accounting clerk or school teacher? The giveaways and the uncounted costs of growth most likely negate and even overwhelm any benefits of new jobs for the unemployed and new tax revenue. All the new residents most likely will not pay enough in taxes to cover the cost of municipal services (in most communities, they don’t). So if the community waives or defers taxes that Amazon would otherwise be obligated to pay, there is no profit to the community; only costs. As just one example, who honestly believes the traffic congestion will be the same or better after Amazon’s HQ2 is up and running in the “winning” city? Instead of lining up to outbid each other with incentives and other giveaways, communities should be setting out stringent requirements that Amazon and the millionaire real estate developers who will profit will cover all the costs to the community. You’ll want to read John Fullerton’s full commentary about economic development, even though it doesn’t even begin to touch on the complete unsustainability of infinite economic or population growth. A nod to Ken Wolff for pointing out the lunacy. I feel sorry for the community that “wins” this competition. In order for this to simply be a real financial win, a city would need to have the smartest growth policies in the world – virtually unheard of – that require new growth fully pay the costs of new and expanded capacity of ALL infrastructure – municipal services such as courts, libraries, drivers licensing, etc. ; transportation; and utilities. Even then it would be an environmental loss, for the addition of 50,000 new jobs (roughly 38,500 new workers and their families) would expand the city’s ecological footprint even further beyond its geographic area. Producer of the documentary, GrowthBusters: Hooked on Growth. 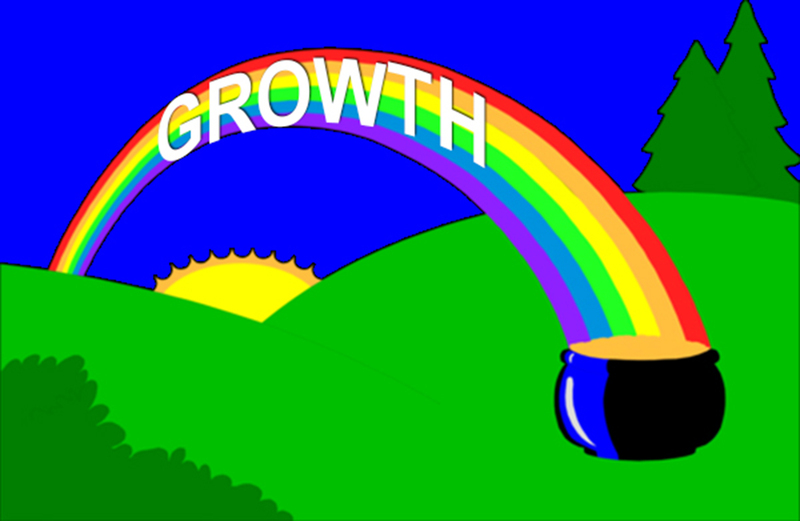 Dave writes and speaks regularly on the subject of growth addiction, including the pro-growth media bias that perpetuates prosperity-from-growth mythology. Subscribe to get post notifications. Bust pro-growth bias in the media. Your support is the lifeblood of this project. all our non-profit sustainability initiatives at GrowthBusters. GrowthBiasBusted.org is an interactive online community where you can vote, discuss and even submit stories about bias in the media. Get involved today! This is a donor-supported non-profit project. Your tax-deductible donation allows us to continue pushing the media to improve growth issues coverage. Reporting & commentary that assume eternal growth is feasible, good, and necessary for prosperity. Reporting & commentary that recognize growth has limits, costs, and consequences. Examples of classic pro-growth bias or exceptional acknowledgement of limits to growth, submitted by our readers!. Every Friday we honor the week’s top-voted story, from the Wall of Shame, Wall of Fame, or User Nominations.